From its early beginnings in World War II, the Special Air Service (SAS) has won renown in some of the most dramatic, dangerous and controversial military special operations of the 20th century. It is a secretive and mysterious unit, whose operations and internal structures are hidden from the public eye. Now, one of its longest-serving veterans offers a glimpse into the shadowy world of the SAS. Rusty Firmin spent an incredible 15 years with `The Regiment' and was a key figure in the assault of the Iranian Embassy in London in May 1980. Newly revised and available in paperback, this is the unforgettable chronicle of Rusty's combat experiences - a fascinating and intimate portrayal of what it was like to be part of the world's most respected Special Operations Force. 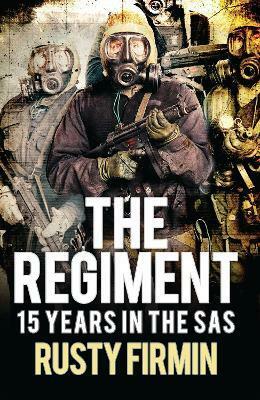 Rusty Firmin served for ten years in the Royal Artillery before volunteering for the SAS and, as a junior SAS NCO, was given command of one of the two assault teams at the Iranian Embassy siege in 1980. After 15 years' service in the SAS, during which he served all over the world, he left the Army to become a private security contractor. He is the co-author of Go! Go! Go! The Story of the Iranian Embassy Siege.